I want people to have fun and maintain a quality of life of their choosing. My service is unique and I am confident in my ability to listen to others. I can only help someone individually – and through that individual effort, they will find wellness. The people who use me know more about themselves than I can ever know. I’m just here to help decipher the confusion. I understand that fear is a normal form of behavior. Coping with fear can be learned. I can offer knowledge to anyone from any walk of life. Dr. Lewis hails from Marble Hill, Missouri. He earned his dental degree at the University of Missouri-Kansas City. As a continual student of dentistry, he has completed the Peter Dawson occlusion series and regularly expands his dental knowledge through CE courses and seminars. He is very involved in his community and has received local recognition for his dental skill, in addition to awards from the state and the Jackson District school board. Dr. Lewis and his wife, Linda, have five children and many grandchildren. 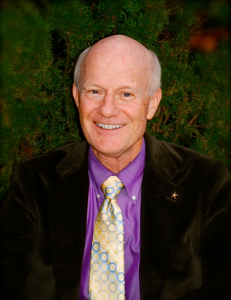 Dr. Lewis spends much of his time restoring functionality and health to his patients’ teeth. Now and then, he spends time carving the pavement on his RipStik, wheeling around on his unicycle, or camping in the gorgeous Missouri landscapes. People go to Dr. Lewis because they like his caring but straightforward approach to solving their dental problems. And he’s funny. Give us a call and schedule a time to see Dr. Lewis for comfortable, effective dental treatment.